Last fall, Dragon Ball voice actress Hiromi Tsuru suddenly passed away. Recently, a memorial service was held in Tokyo. While the funeral was private, this was an owakare-kai (お別れ会) or “farewell gathering” that was open to the public. It was a way for colleagues and fans to grieve and celebrate her life. 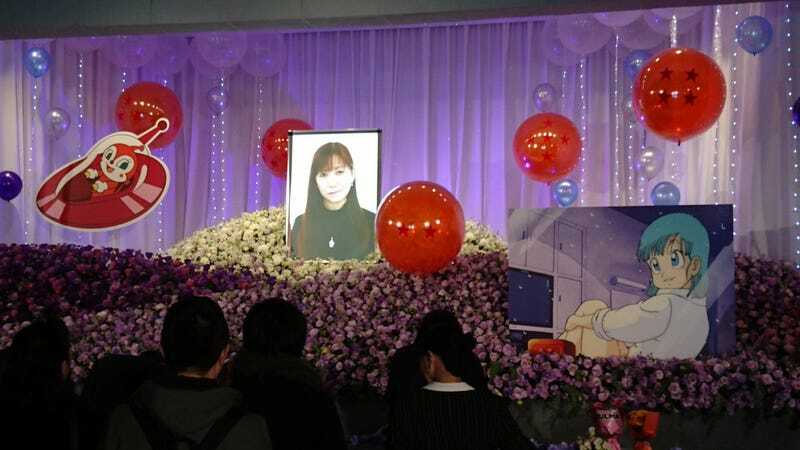 The alter in the memorial service was decorated with seven Dragon Balls as well as images of Bulma and Anpanman’s Dokin-chan, beloved characters she made famous.